This entry way had great details with it’s wainscotting and mouldings, but was very boring. We livened it up with a turquoise and white graphic wallpaper on the top third of the wall. 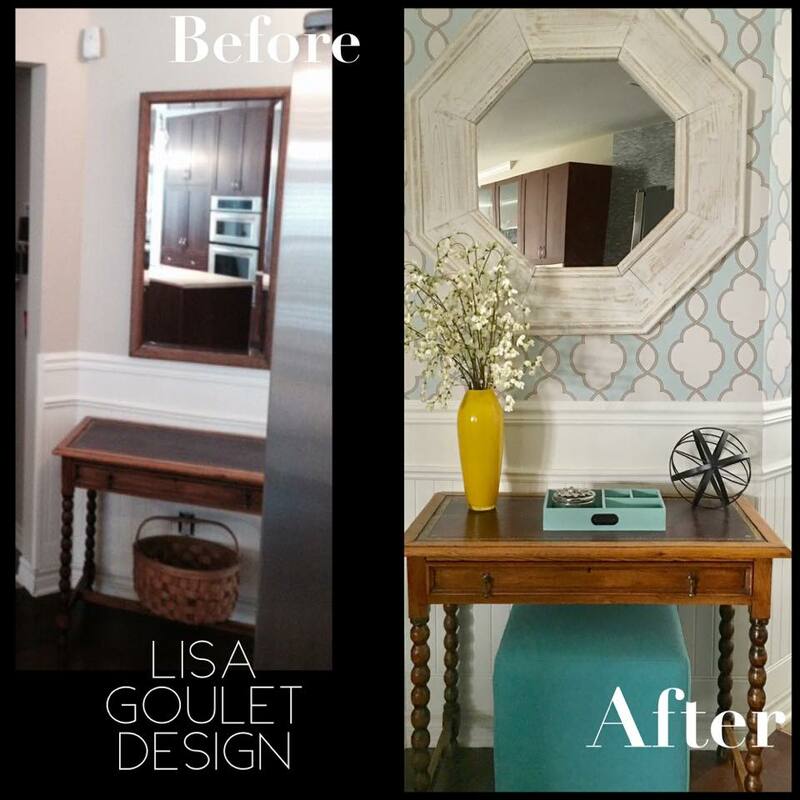 Working with my client’s antique desk, which is used as a console table here, we added in a tiny cube that can be pulled out to remove or put on boots/shoes, then tucked out of the way, in this small space entry. A distressed octagon shaped mirror is perfect against the wallpaper and lets everyone have one more quick look before heading out the door. A little tray for catching keys, sunglasses, etc and a few decorative items and this entrance is complete.